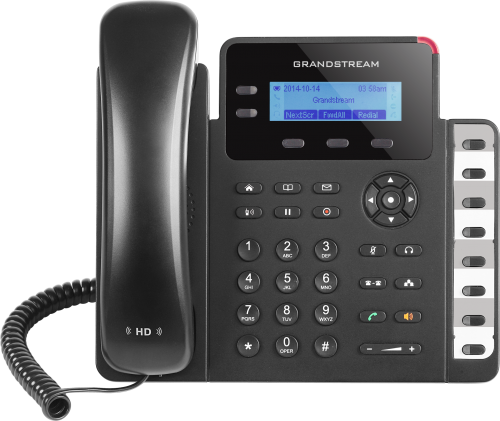 A high-end IP phone for small business users, the GXP1628 delivers a suite of powerful VoIP features in an easy-to-use fashion with a modern design. The GXP1628 offers support for up to 2 lines and features Gigabit ports to maximize connection speeds and call quality. The phone includes 8 BLF/speed dial keys that allows users to easily monitor presence and status of other extensions and transfer calls.